A Dance-O-Mat for Your City? We’ve created a How-To manual for how to create a Dance-O-Mat that encompasses the physical build but also importantly the community side of the build – how to engage people, involve volunteers, choose a good site and layout, address council regulations and so on. We’ve learned a lot from our Dance-O-Mat and have made many modifications to the system over the years, incorporating them into this manual. It means you don’t have to problem solve how to create one for your city; we’ve done all that for you and this assures you of a high-quality, well-designed amenity that will bring life to your city for years to come. Please contact fillthegap@gapfiller.org.nz) for the price of our 100 page manual complete with full designs and materials list. 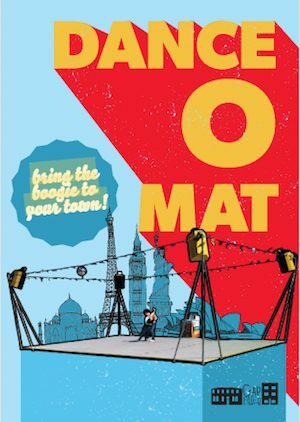 Sales from the Dance-O-Mat manual go to support Gap Filler’s community projects.